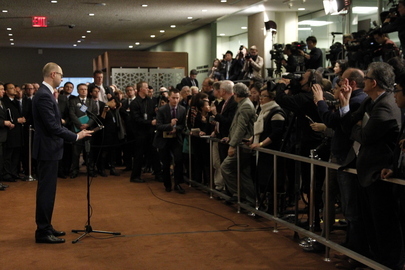 The first Security Council meeting on the situation in Ukraine was held on 28 February 2014. The meeting was called for by the Permanent Representative of Ukraine by a letter dated 28 February. On 27 March 2014, the General Assembly adopted a resolution on the Territorial Integrity of Ukraine - A/RES/68/262. 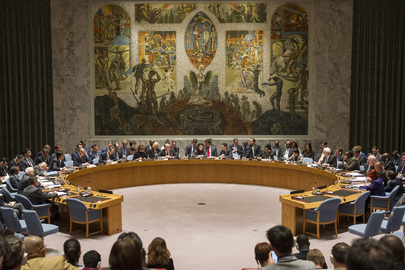 The Security Council met on 13 April, 2 May, 5 August, and 19 September 2014, as well as 17 February 2015, in response to a letter (S/2014/264) from the Permanent Representative of the Russian Federation requesting "convening of urgent consultations in relation to the situation in Ukraine." The Security Council unanimously adopted S/RES/2166 (2014) on 21 July 2014, which deplored "the downing of a civilian aircraft on an international flight, Malaysia Airlines flight MH17, on 17 July in Donetsk Oblast, Ukraine, with the loss of all 298 passengers and crew on board." On 17 February 2015, the Council adopted S/RES/2202 (2015) endorsing the "Package of measures for the implementation of the Minsk Agreements" to end violence in eastern regions of Ukraine. The "Package of measures for the implementation of the Minsk Agreements" is included in Annex I of this resolution. A year following the crash of MH17, on 29 July 2015, the Council failed to adopt a resolution that would have established an international tribunal for the purpose of prosecuting persons responsible for crimes connected with the downing of the flight. The Permanent Representative of Ukraine to the United Nations called for a meeting of the Security Council by a letter dated 28 February 2014 (S/2014/136). This guide is intended to provide delegates and UN Secretariat Staff with selected content from both UN and non-UN sources. It references third-party web sites, books and articles. It does not imply the endorsement of the content by the United Nations. 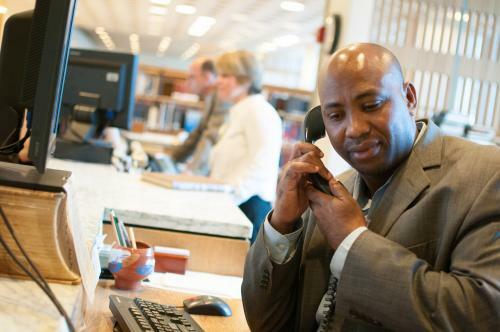 Books and articles can be accessed online within the UN Headquarters. Articles can be delivered to permanent mission by e-mail upon request. To follow the latest developments, consult these UN sources. Search for treaties between Member States published by the United Nations in the UN Treaty Collection website or UNBISnet. Click here for more guidance on finding treaties. These non-UN sources provide news and analysis of the situtation in Ukraine. Views expressed do not reflect the views of the United Nations. Insights on the work of the UN Security Council and the situation in Ukraine from Security Council Report. Get the @SCR insights and keep an eye on What's in blue? Search thousands of newspapers and magazines for news coverage. Information about Ukraine and analysis from the Economist Intelligence Unit. Online version of the Statesman's Yearbook. Provides reports on international law. Case reporting service from Oxford University Press that contains selective cases from domestic courts around the world dealing with public international law issues. Legal experts in the field cover over sixty countries, providing detailed analysis of the core legal issues, highlighting the most salient points of the case, and providing historical and legal context to understand the significance of the decision. Translations of key passages of non-English judgments appear alongside the full text of the judgments in the original language.The Dag Hammarskjold Library subscription includes access to the following modules: Oxford Reports on International Law in Domestic Courts, Oxford Reports on International Criminal Law,Oxford Reports on International Human Rights Law, and Oxford Reports on International Courts of General Jurisdiction. A UN Human Rights Monitoring Mission, led by Ivan Šimonović, was deployed by the United Nations High Commissioner for Human Rights in March 2014. The Monitoring Mission delivers reports that assess the human rights situation in Crimea and makes recommendations for the way forward. Reports on the Human Rights situation in Ukraine can be found on the OHCHR website. Additionally, the High Commissioner for Human Rights submitted a summary of the first five reports (covering 21 Nov 2013 - 5 Sept 2014) in the document, A/HRC/27/75. For more information, visit the Office of the United Nations High Commissioner for Human Rights (OHCHR) website.